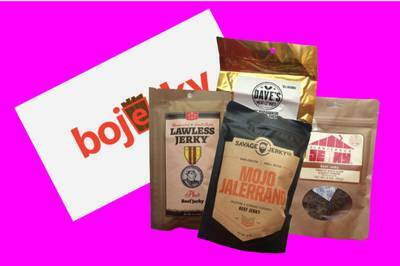 Bojerky Beef Jerky Subscription Box is currently sold out! Bojerky is a subscription to the best and most unique craft beef jerky around! $64/lb is the rate I just paid. That is absurd even for premium jerky. I should be getting four 6-oz packages for $37, not four 2.3-oz packages. And this month he was so lazy he just sent four different flavors of the exact same brand. Bravo on your jerky curation. Terrible.